Automatic sleeve wrapper: - WS-5030 series sleeve wrapper is suitable for wrapping pop-cans, bottles, etc, both with bottom-tray and without bottom-tray, working with WS-5038 or other PE shrink tunnels. Dhall compressive shrinking range machine is suitable to handle 100% cotton, rayon, polyester. Lycra & blended fabrics in open width knit form. 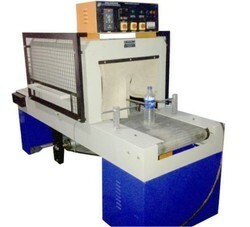 Machine is suitable to impart 16% shrinking on single run. Laying of fabric along with soft feel & luster improve. Shrink Tunnel Machines, heat shrink tunnel machines find applications for Stationery, Sweets, Gift Packets, Confectionery, Welding Rods, Bottles, Cosmetics, etc. We manufacturing the wide range of shrink tunnels . Being a trustworthy firm, we offer Shrink Machine to our clients. This machine is manufactured using best quality materials that we source from our reputed clients. These are widely being appreciated for efficient performance and durability. 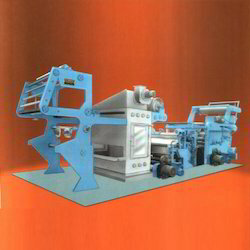 These machines are used for the mass packing purposes in the packaging industries.